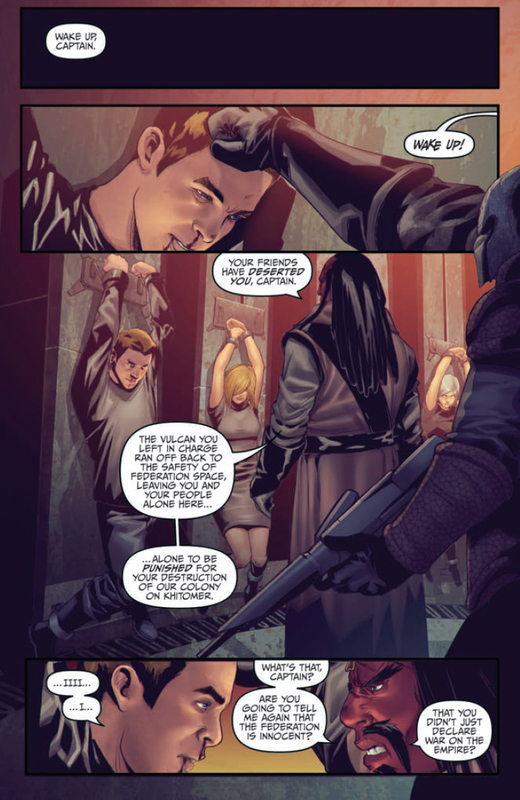 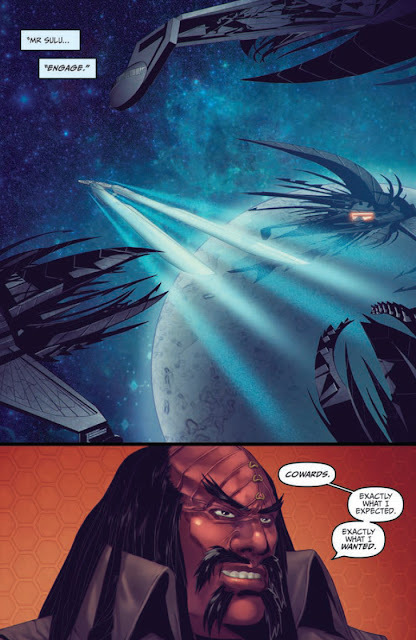 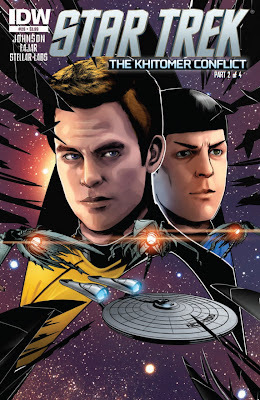 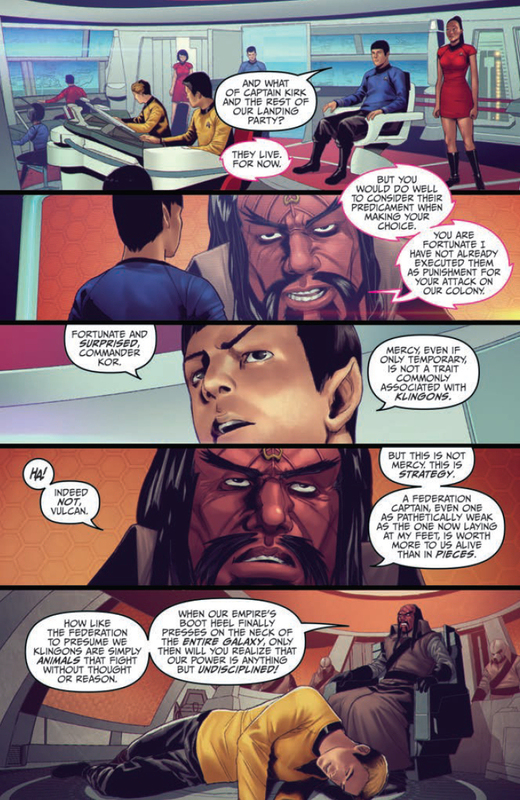 Out this week is the second issue in the four-part The Khitomer Conflict arc, in the Star Trek ongoing comic series. 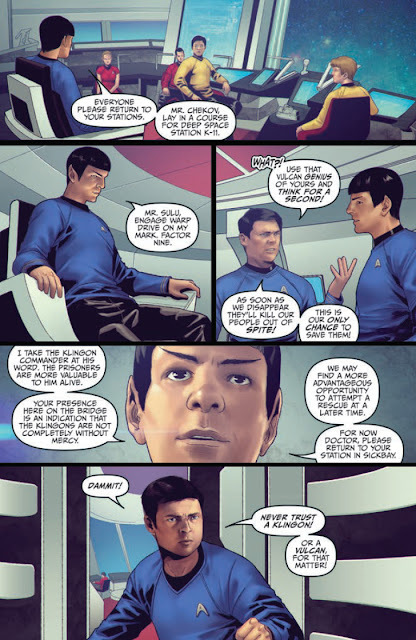 A seven page preview of this issue is below, with Spock facing a dilemma after Kirk's landing party has been captured by the Klingons on Khitomer. Having read through the full issue I'm really pleased with the direction the ongoing series has taken here. Moving to a longer multi-part format for this story has been a really good move; giving us time to enjoy some nice character moments with the crew of the Enterprise (both established and ongoing original characters), while gradually revealing more of what's going on with the many factions at work in this arc. 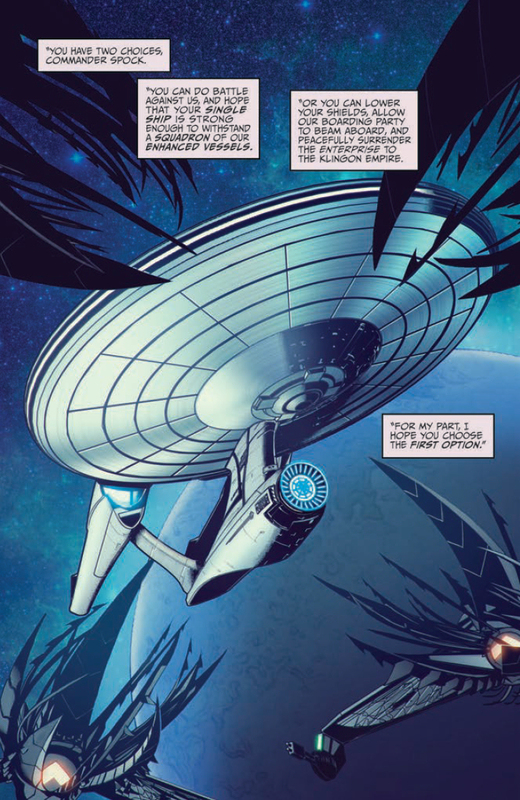 With this particular story picking up in things laid out earlier in the ongoing series, and more exploration of interstellar plots and politics, I can't help but feel the series is starting to develop a similar style of story telling to the 24th century litverse - Which not so long ago I wouldn't have imaged is a comparison I'd find myself making with the current Star Trek comics. 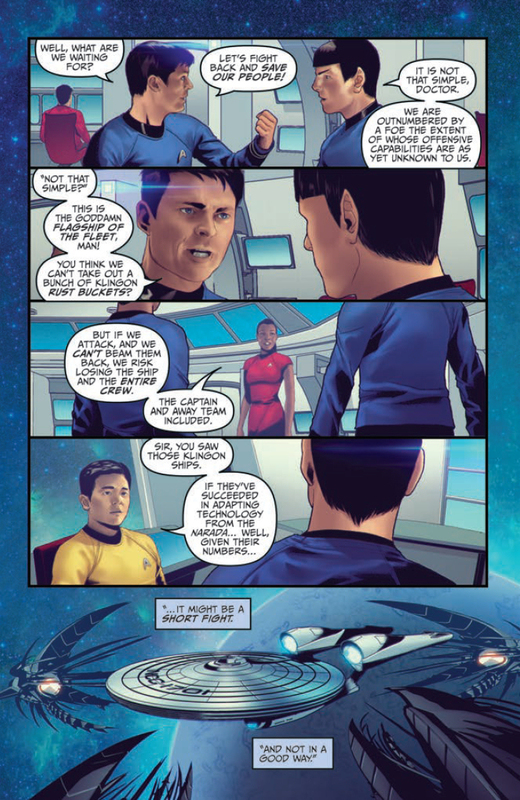 It's great to see the nuTrek world expanded and being bold in its story telling. 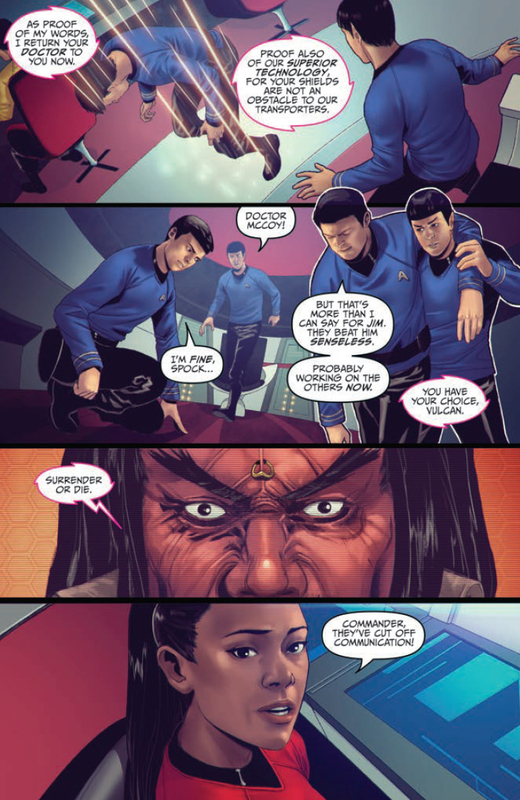 More like this please IDW!